In the midst of the Civil War, the United States enacted the Homestead Act of 1862. Signed by President Abraham Lincoln, the bill authorized the cheap sale of land to American citizens in exchange for development and cultivation of that land. It also encouraged northern citizens, with pro-Union leanings, to expand westward. 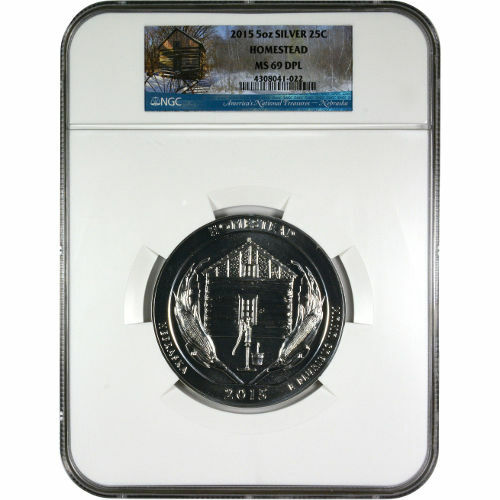 Today is your chance to purchase the 2015 5 oz Silver ATB Homestead Coin from Silver.com. First release of 2015 and 26th overall in the ATB Series. Represents Nebraska in the ATB Series. Commemorates Homestead National Monument of America. America the Beautiful is a 56-coin series from the United States Mint that was introduced in 2010 by the United States Mint. The series is designed to showcase the national parks, wildlife refuges, and monuments of the United States, with one location chosen from each of the nation’s 50 states, five overseas territories, and the federal district. 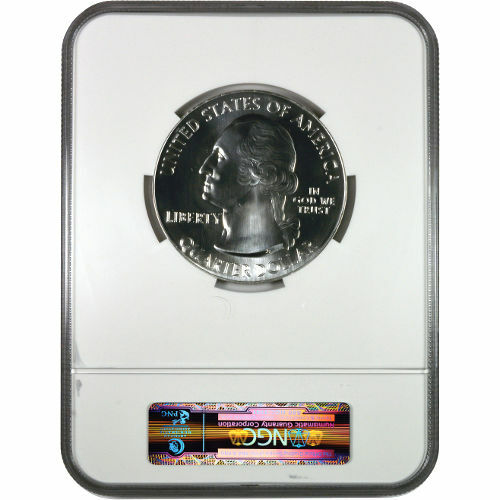 The 2015 5 oz Silver ATB Homestead coins in this Silver.com product listing are Mint State 69 specimens according to the NGC. Coins in this condition exhibit full, original mint luster, but also bear a maximum of two minor detracting flaws. These flaws are minuscule in nature and do not detract from the overall visible beauty of the coin. On the reverse face of the coin is the image of the essentials to frontier life. A small cabin, encircled by wheat and a water well show all the things a frontier family needed to survive life on the plains. This is encircled by engravings identifying the state, park, and year of issue. The obverse of the coin features the same image of President George Washington used on the quarter in circulation. The portrait was refined in 1932 by John Flanagan from an original 1786 portrait by William Cousins. If you have any questions for a Silver.com associate, we encourage you to contact us. Please direct your questions to one of our associates on the phone at 888-989-7223, online using our live web chat, or via our email address. If you are interested in similar products, be sure to check out our full selection of Certified America the Beautiful Coins.